This is a relatively new salad dressing from well-known Mae Ploy brand. 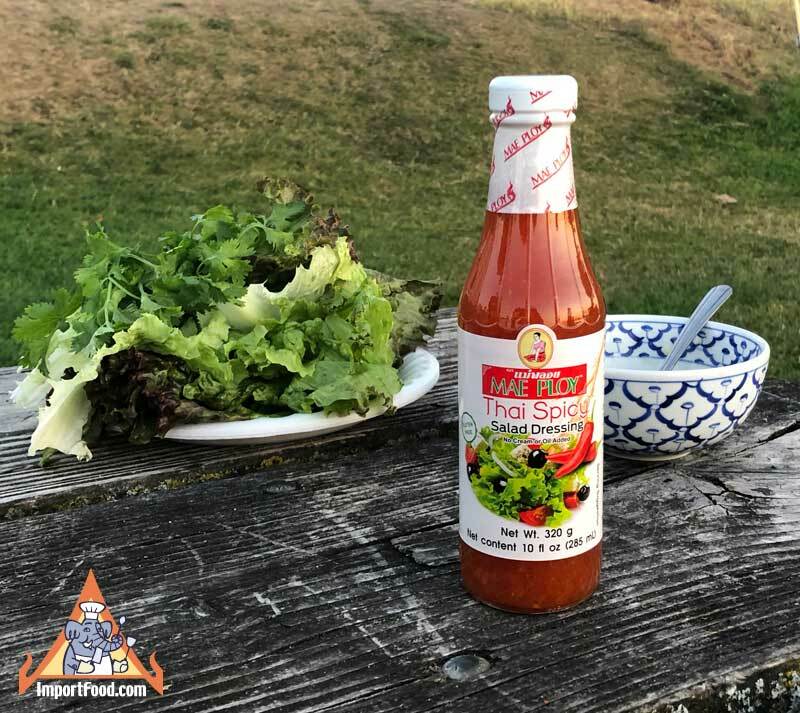 Packed in a glass bottle, these flavors blended together give hints of authentic Thai taste. Ingredients: water, sugar, pickled red chili (red chili, salt, distilled vinegar), high fructose syrup, distilled vinegar, salt, coconut oil, pickled garlic, lactic acid, xanthan gum, red chili, coriander leaf.